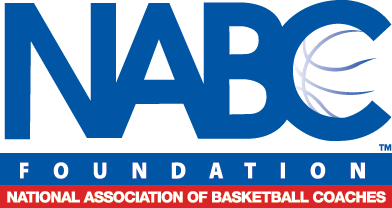 The National Collegiate Basketball Hall of Fame was founded by the National Association of Basketball Coaches Foundation, Inc., to honor and celebrate those who have made extraordinary contributions to the game of men’s college basketball. Located at the College Basketball Experience in Kansas City, Mo., the National Collegiate Basketball Hall of Fame inducted its first class in November, 2006, with a Founding Class consisting of Dr. James Naismith, who invented the game; former University of North Carolina head coach Dean Smith; Oscar Robertson, considered by many to be the most outstanding all-around player in the history of college basketball while playing at Cincinnati; Bill Russell, who led the University of San Francisco to two NCAA championships and is one of the game’s greatest defensive players; and John Wooden, an All-America player at Purdue and long-time coach at UCLA, where he led the Bruins to 10 NCAA titles, including seven in a row. Each year, a Blue Ribbon committee, composed of long-time coaches, administrators, former players, broadcasters and basketball writers selects a class of inductees including players, coaches and contributors. The Founding Class of the National Collegiate Basketball Hall of Fame includes all individuals who have been previously inducted for men’s college basketball into the Naismith Memorial Basketball Hall of Fame. Learn more about all the inductees of the National Collegiate Basketball Hall of Fame. Learn more about the annual Induction Celebration and Hall of Fame Classic at www.halloffameweekend.com.